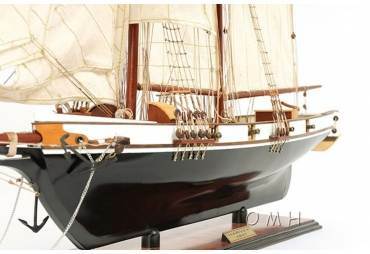 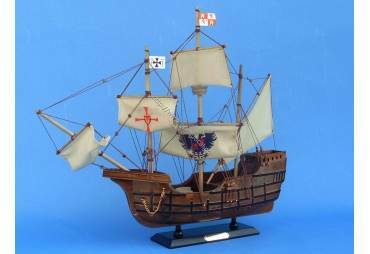 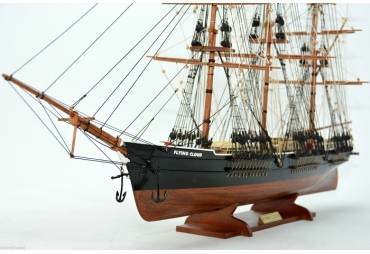 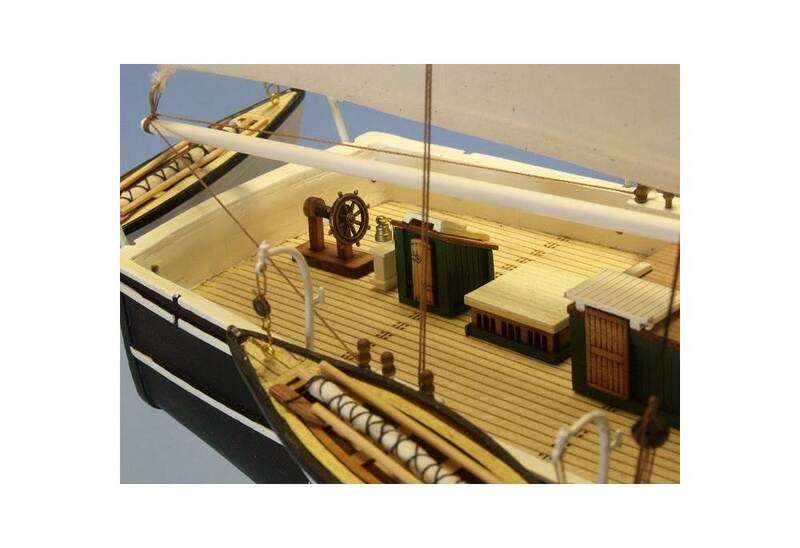 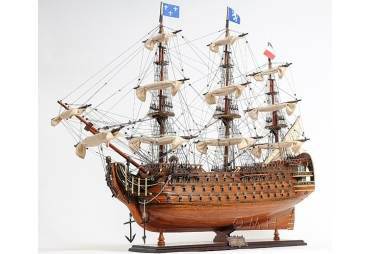 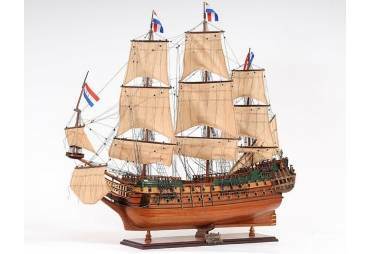 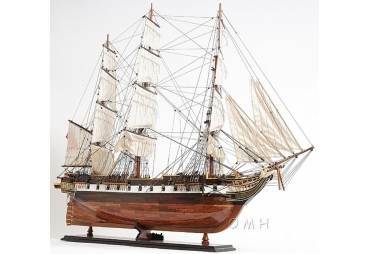 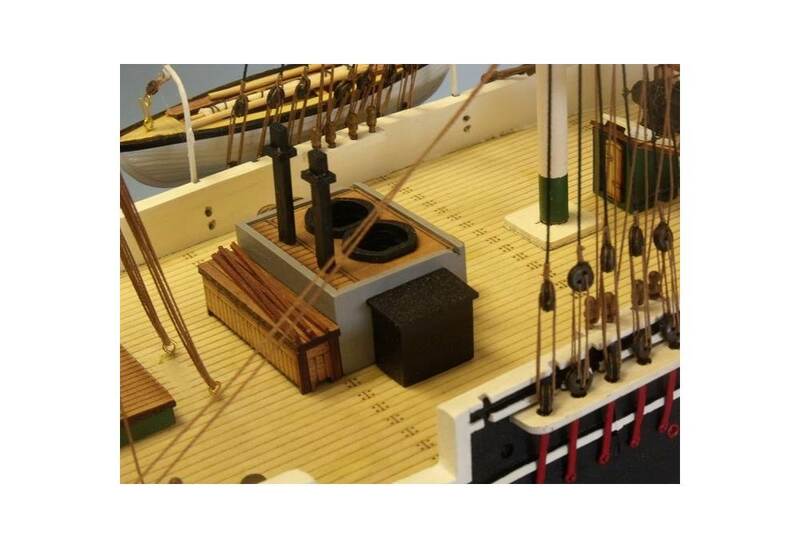 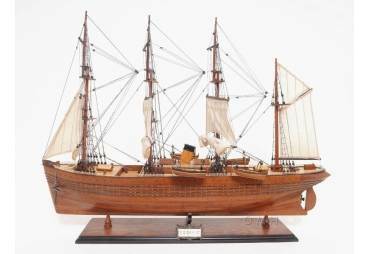 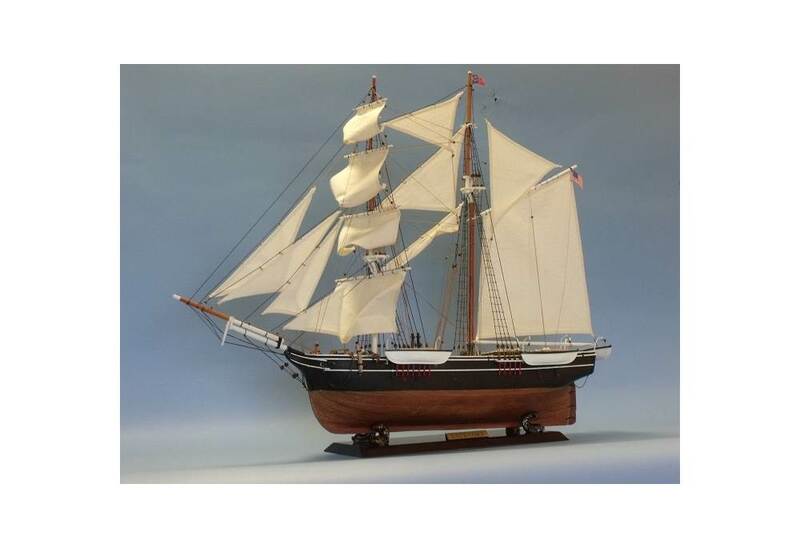 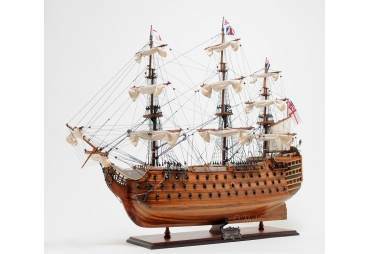 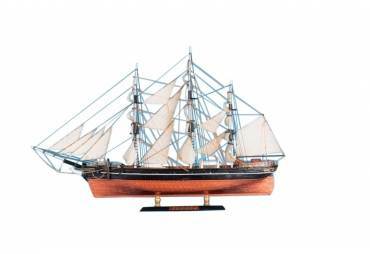 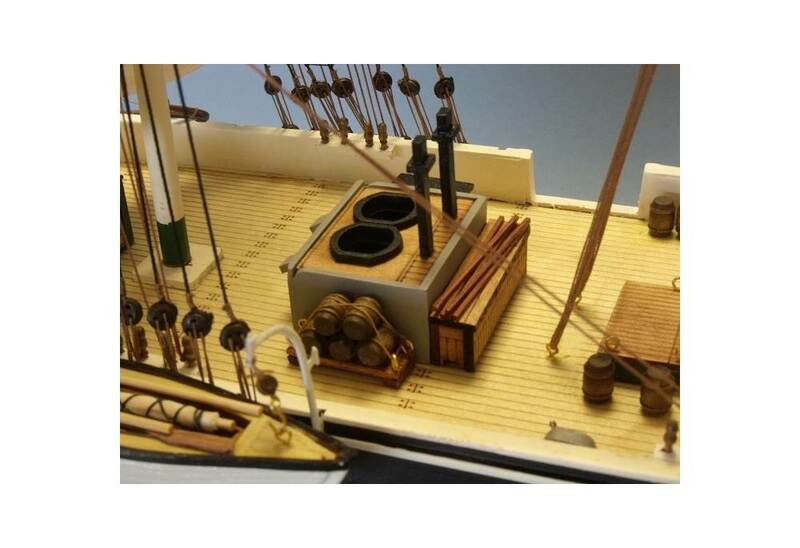 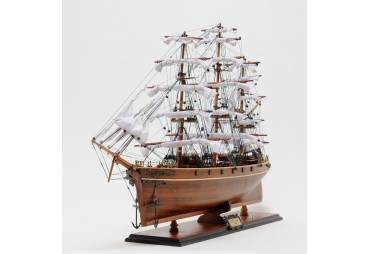 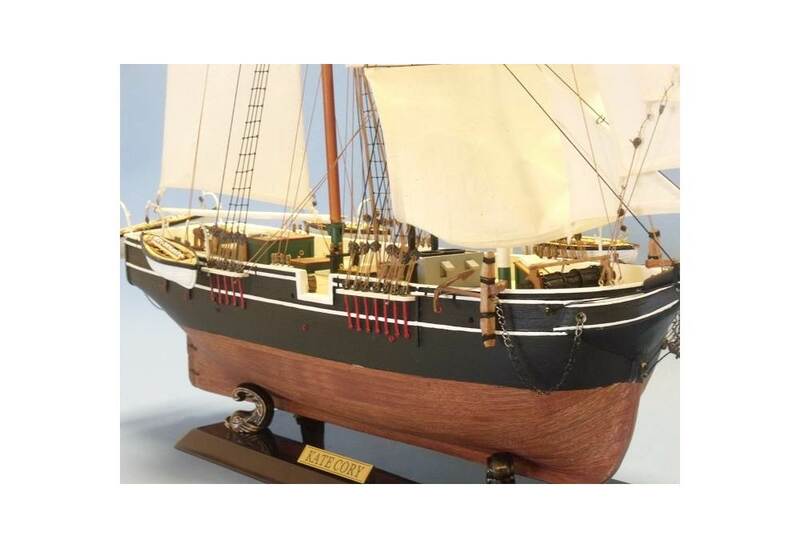 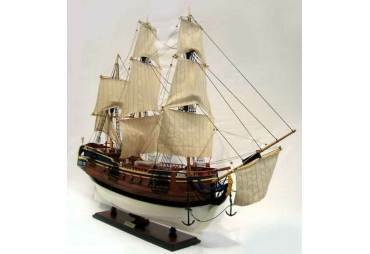 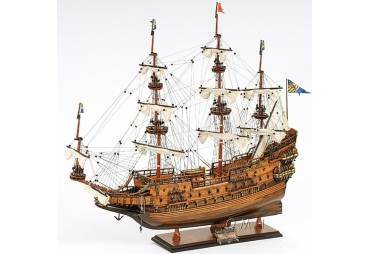 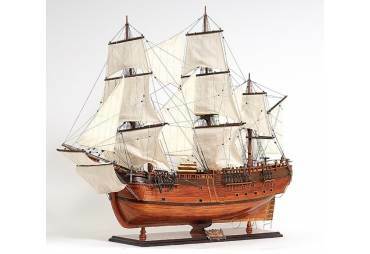 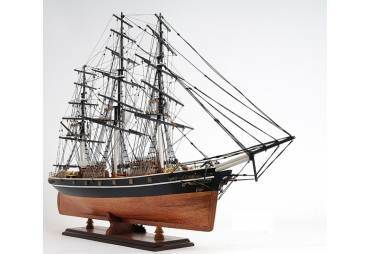 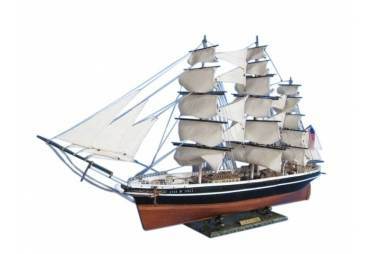 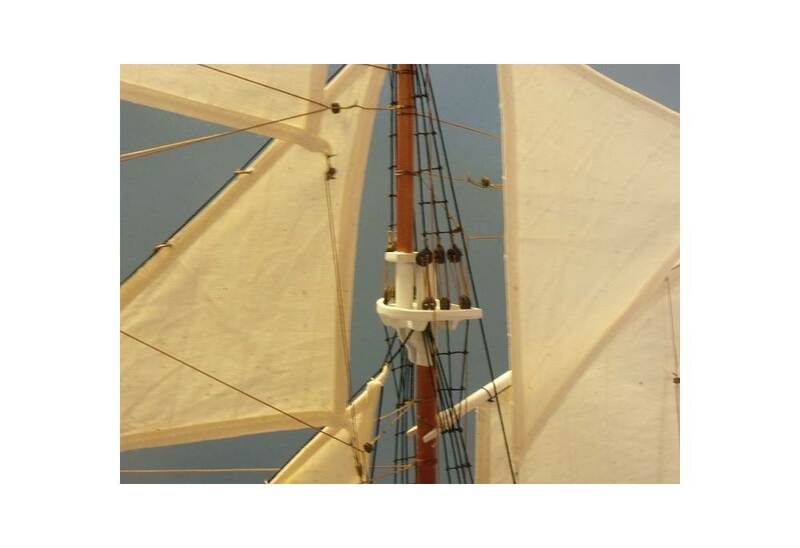 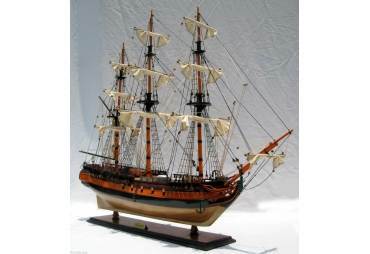 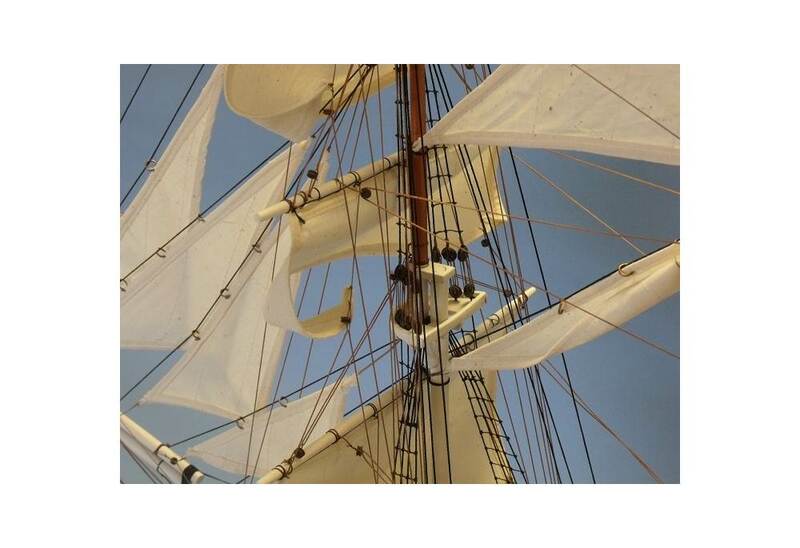 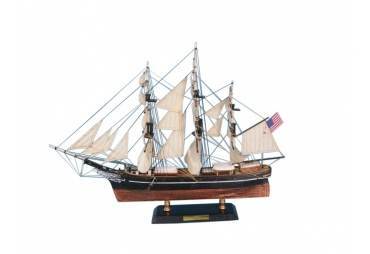 Charles W. Morgan Wailing Brig Wooden Boat Model 32"
Highlighted by fine craftsmanship and attention to detail, these model tall ships of the 19th century whaling ship Kate Cory are historically accurate scale models. 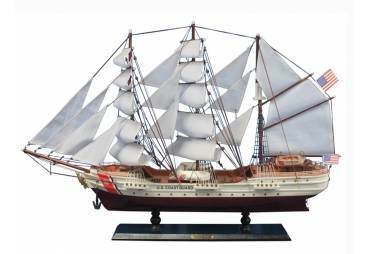 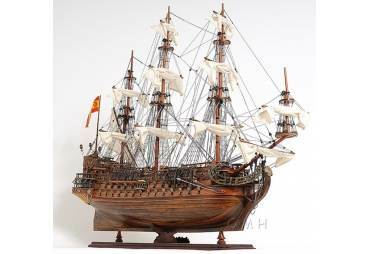 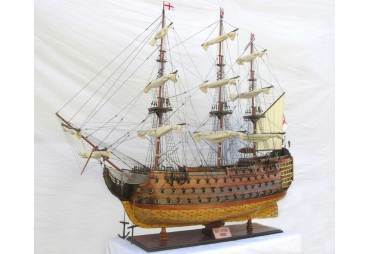 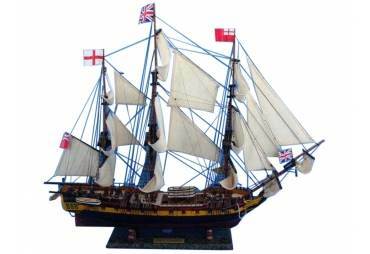 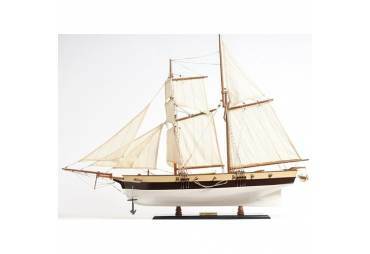 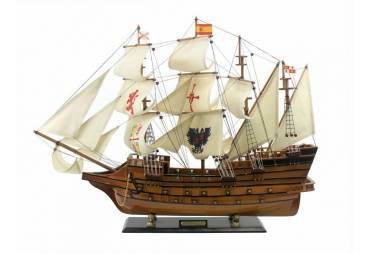 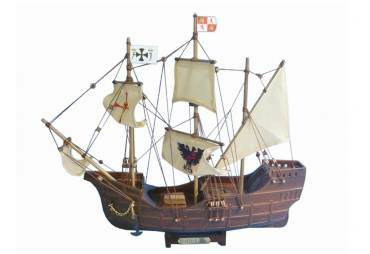 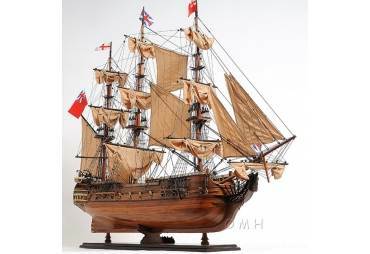 Whether seated upon a table, desk or shelf, this replica Kate Cory whaler tall model ship proudly displays her exquisitely-crafted features and adventurous spirit. 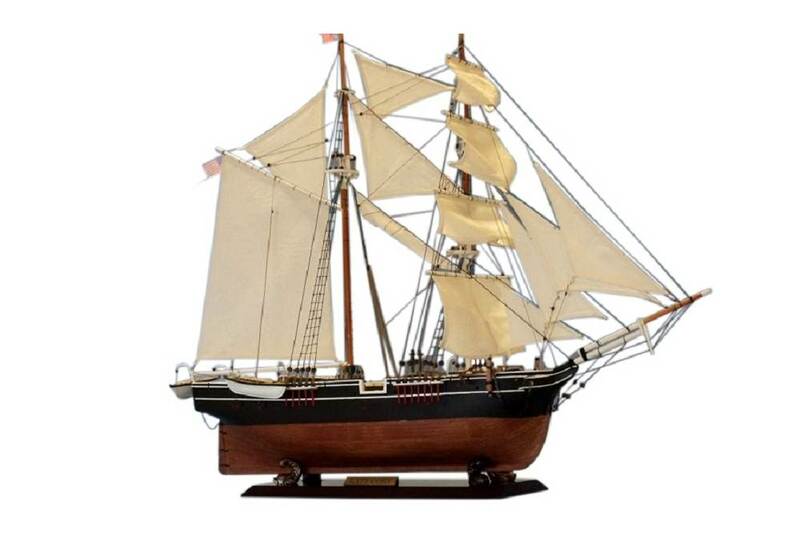 The 132 ton whaling brig Kate Cory was built at Westport Point, MA in 1856. 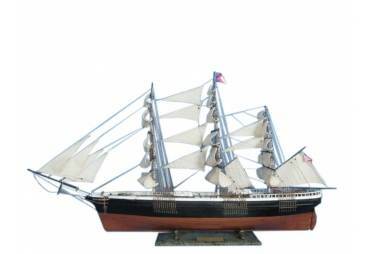 Seventy-five and a half feet long with a twenty-two foot beam, she was the last large ship built within the confines of that port. 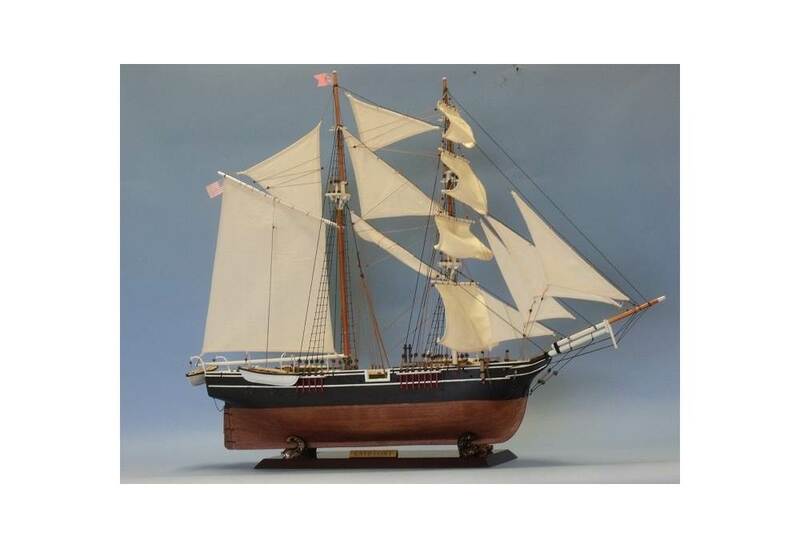 She was also one of the last whalers built specifically for the trade. 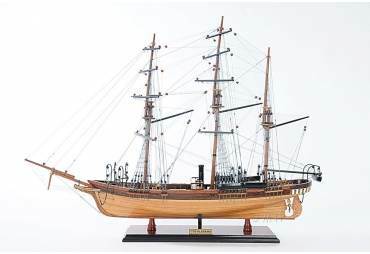 Most of the later vessels used for whaling were converted to freighters or fishermen. 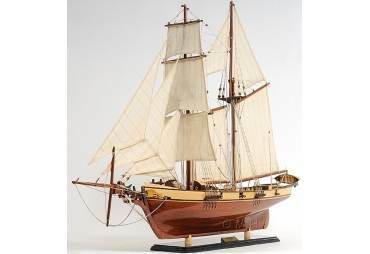 Originally rigged as a schooner, Kate Cory was converted to a brig in 1858. 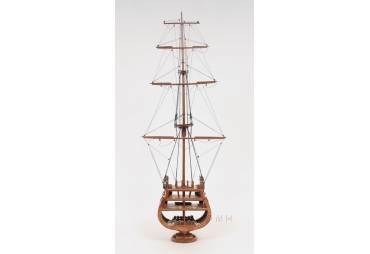 This rig made for steadier motion in heavy seas and while cutting in whales. 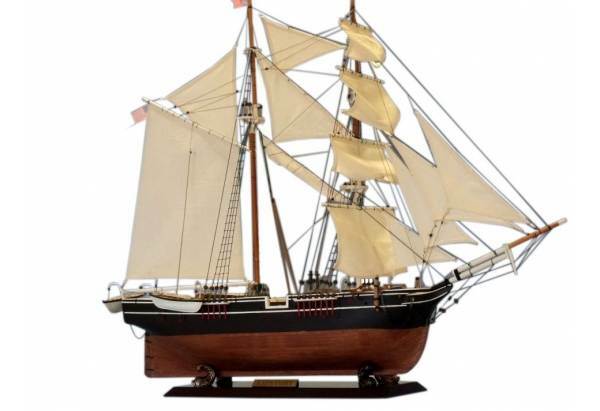 After only five voyages, she was captured by the CSS Alabama and burned off the coast of Brazil in 1863.